This article will guide you through how to edit timesheet export codes. Editing timesheet export codes may be needed for in the case when your payroll solution requires specific codes and rules to be met. To read more about timesheet export codes rules and limitations, search through our Integrations help docs and find your payroll solution. After approving timesheets, you are now ready to edit timesheet export codes. To do this, head to the 'Export Timesheets' option. 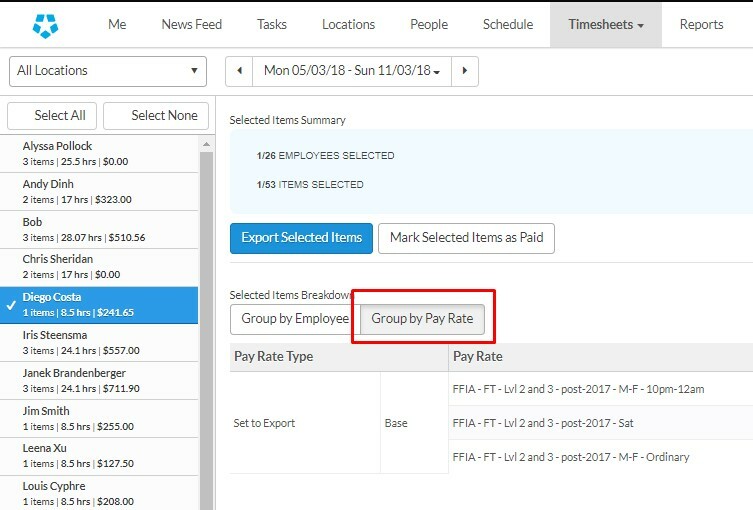 Now select an employee and click 'Group by Pay Rate'. After you have selected this, simply click 'Edit' on the export code that you would like to change. This will allow you to edit the field under 'Export Code'. Remember to hit 'Save' when you are done. 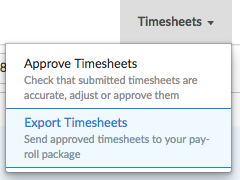 You are now ready to export these timesheets with the edited timesheet export code.